Our shoreline and beach offer an irresistible invitation to enjoy the warmest salt water north of the Carolinas. Imagine exploring the ocean floor at low tide, discovering clams and other treasures that are gifts of the waves. Enjoy 10 km of cross country ski trails accessible from your doorstep! Downhill enthusiasts can enjoy Wentworth Ski hill only 20 minutes away in Wentworth Valley. 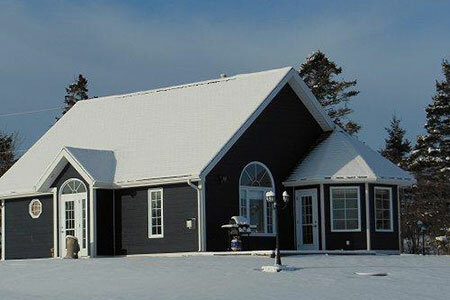 Snowmobiling includes access to the Trans Canada Trail system as well as many roads and trails in the area, accessible right from Cambra Sands. 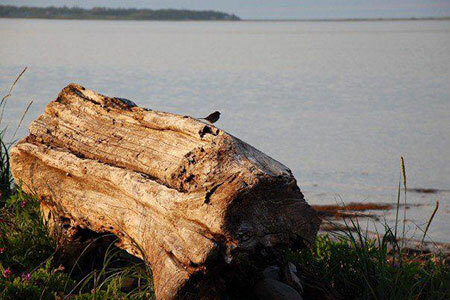 Over 168 species of birds have been recorded in and around Wallace Bay. Our 10-acre peninsula provides a great viewing point to see them and enjoy the peaceful tidal beauty. Greet the day sitting on our beach front deck watching the sunrise or relax in our oceanfront gazebo hot tub at evening time and enjoy the incredible colours of a north shore sunset. Or take a leisurely stroll, following the walking trails throughout Cambra Sands and enjoy learning about the native vegetation and wildlife. 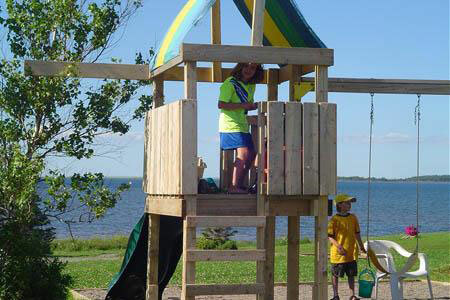 "Everything fun under the sun," located at the intersection of Highway 6 and the Trans-Canada Trail.